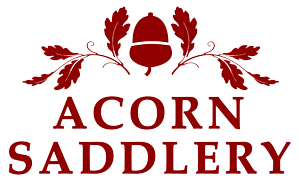 Husband and wife team, Frank and Susan Edwards set up Acorn Saddlery, in 1985. The first location was in a small street in South Molton. However, as the business has expanded three times over the years we are now trading from a high street location, with fully equipped workshop, offering an on-site repair and after sales service. The business has now progressed in to making its own range of hunting and shooting accessories, supplying all parts of the world with high quality leather work. Frank has grown up in a family all interested in horses and it seemed a natural move to go in to saddlery after leaving school. He completed a five year apprenticeship, combined with training at Wimbledon College, London, whereupon Frank received his Master Saddler's Certificate. Frank has gained some 30 years experience in the trade, making individual items to order, such as shooting accessories; hunting equipment and general saddlery. Susan deals with the day to day running and administration of the business, including the accounts and bookwork. Over the years she has been trained under the watchful eye of her husband and is now a qualified Master Saddler. She assists Frank in repairing saddles and is also involved in making new saddles and bridlework to order. As the business continues to expand, James, the youngest son of Frank and Susan, has joined the Saddlery as a Director. His main role at present is the website, photography and customer liaison and managing the shop as a whole. He plans to move on to learning saddler skills from his parents as soon as time permits. Alison is Frank's sister and has been with Acorn Saddlery since its early days. She is our specialist machinist and deals with our special orders. She will be seen replacing zips in boots, chaps and any other repairs as needed. Sharon is our most recent recruit and has been known to us for many years as her family are all keen riders. Due to the ever-increasing demands on our 'rug repair' department, Sharon kindly agreed to come and help with the increased workload. She is now in charge of the repair and manufacturing of horse rugs, blankets and small leather goods. She also assists with serving customers.